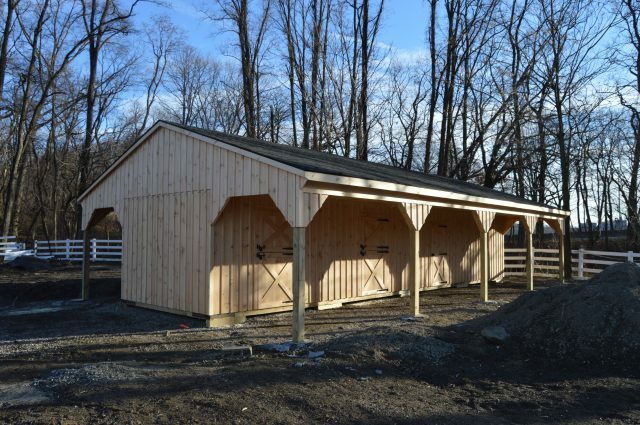 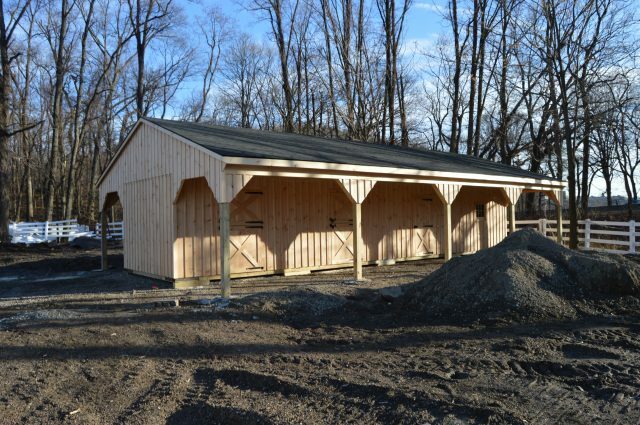 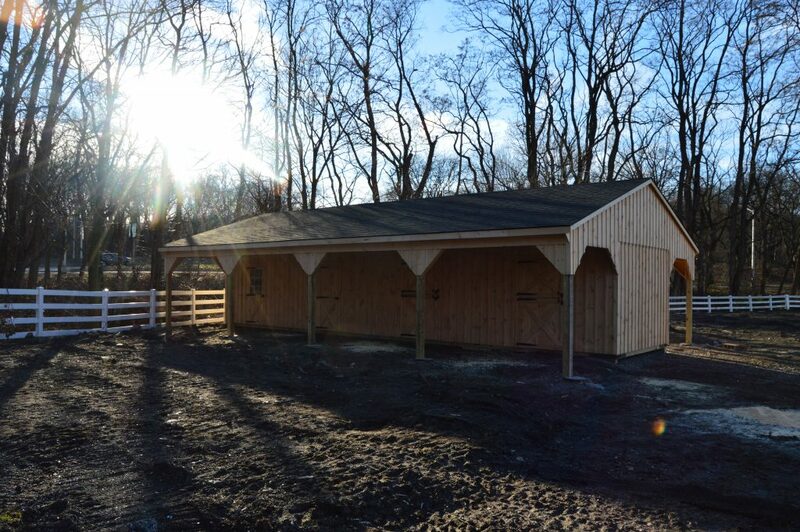 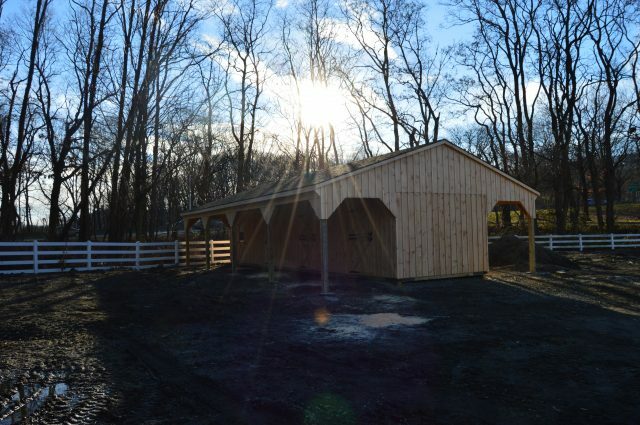 This custom built 12’x48′ shed row barn stands firm with two 8′ lean-to’s. 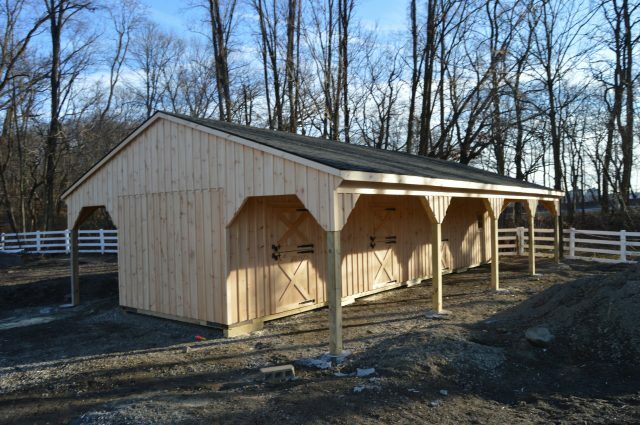 The interior features a spacious office, large storage room, and two stalls. 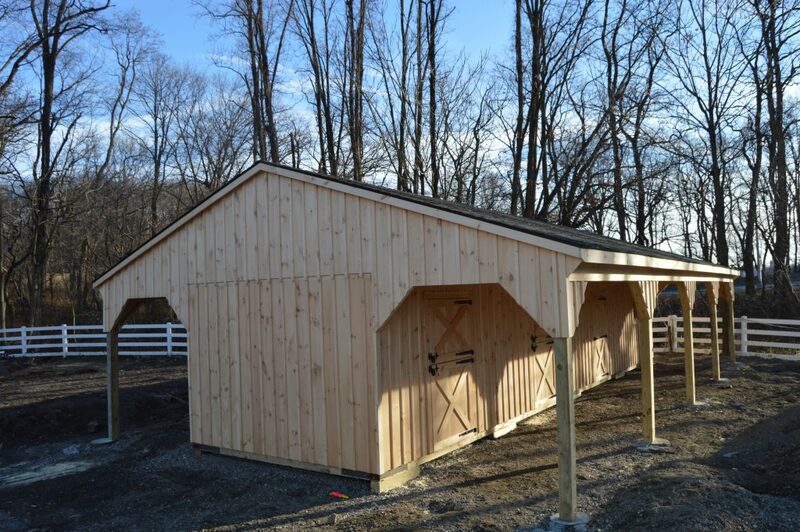 The customer chose to add two dutch doors in the rear of the building, along with a service door and a window in the office service door.